Please stop by my site at Gold Mountain Publishing to find recommendations on changing your life through consultations and through my book. Diary of a Feng Shui Consultant and Visual Artist is a summary of consultations from my early years as a practitioner and teacher of The Art of Placement. I warmly invite readers of this book to try the Feng Shui cures and enhancements for their own benefit; and, I give tribute to His Holiness Grandmaster Lin Yun Rinpoche who recognized me and gave me back my life in ways never imagined. Enjoy these writings of my adventures! 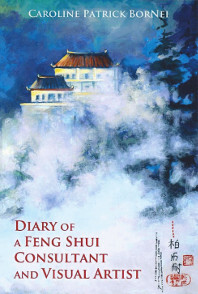 Diary of A Feng Shui Consultant and Visual Artist on Amazon.